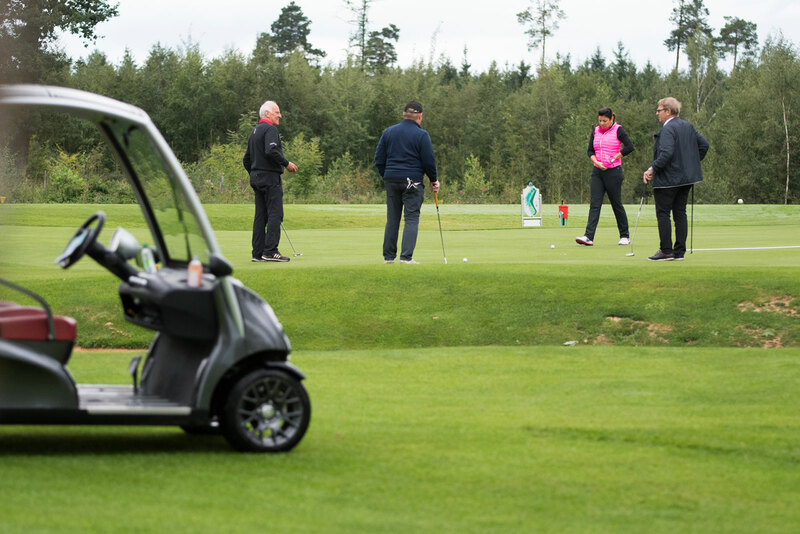 The Golf Club zu Gut Ludwigsberg with ist 18-hole championship golf course and a 9-hole par 3 course offers an optimum environment in which to enjoy the sport of golf during your holiday. 0n undulating fairways and greens you can play on a course through the former Swabian pasture landscape. 47 bunkers protect the greens and make the game rich in diversity and challenging for both the hobby and the ambitious golfer. The 18th hole is a challenging island green and one of the highlights of the Bavarian golf course. 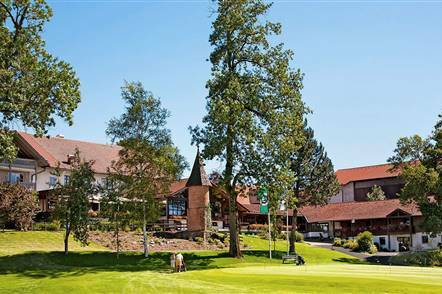 The Golf Club zu Gut Ludwigsberg is situated only a few minutes by car away from the Steigenberger Hotel Der Sonnenhof. The golf course excels as a result of its exposed location in a high plateau on the outskirts of Türkheim. An impressive view throughout the whole of your game is that of the 300 kilometers of alpine panorama. Bob Trent Jones planned the golf course in the Allgäu which was then completed by the golf architect, Kurt Roßknecht. The 90 hectares of the course fit perfectly into the pasture landscape of the Lower Allgäu and thanks to its spaciousness offers a relaxing game of golf.